For the last 50 years, artists have explored the hidden operations of power and the symbiotic suspicion between the government and its citizens. 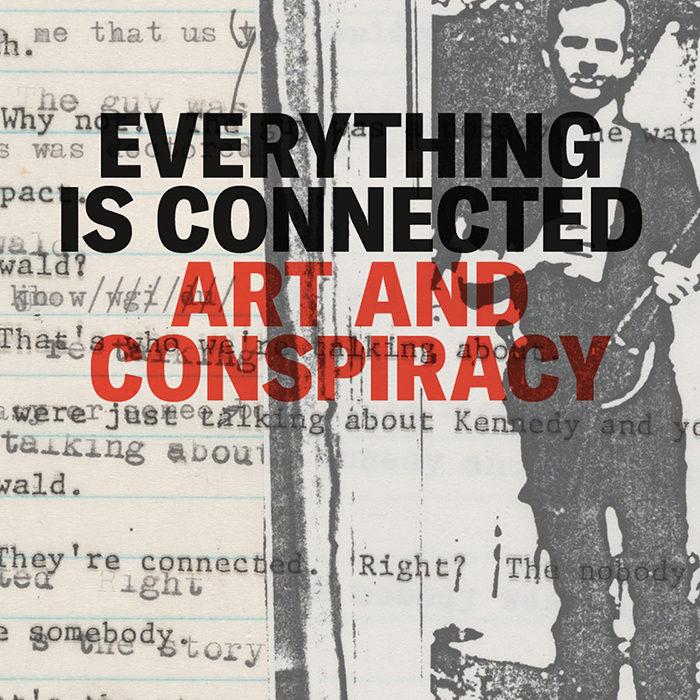 Opening at The Met Breuer on September 18, Everything Is Connected: Art and Conspiracy will be the first major exhibition to tackle this perennially provocative topic. 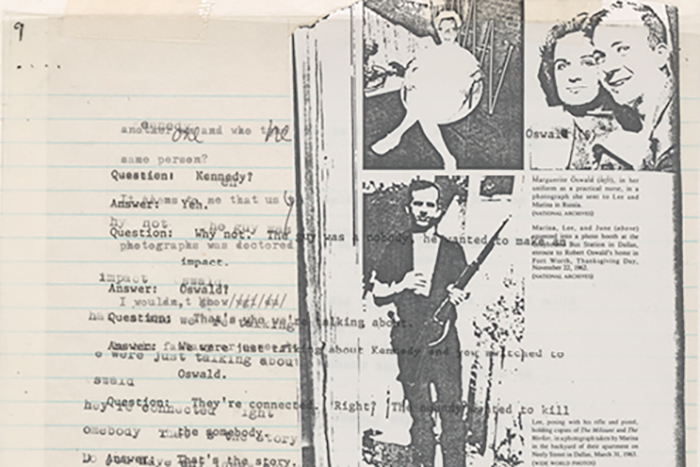 Covering the period from 1969 to 2016 and featuring 70 works by 30 artists working in a range of media—from painting and sculpture to photography, video, and installation art – Everything Is Connected will present an alternate history of postwar and contemporary art that is also an archaeology of our troubled times. The exhibition is made possible by Andrea Krantz and Harvey Sawikin. Additional support is provided by James and Vivian Zelter. There are incontrovertible aspects of the postwar period that created a fertile ground for the figure of conspiracy to loom so large. Foremost among these is the dramatic expansion in size and complexity of Western democracies and their attendant bureaucracies. Accordingly, the exhibition will focus on conspiracy in the West and stops short of the 2016 U.S. presidential election. Tracing the simultaneous development of two kinds of art about conspiracy that form two sides of the same coin, the exhibition will be divided into two parts. 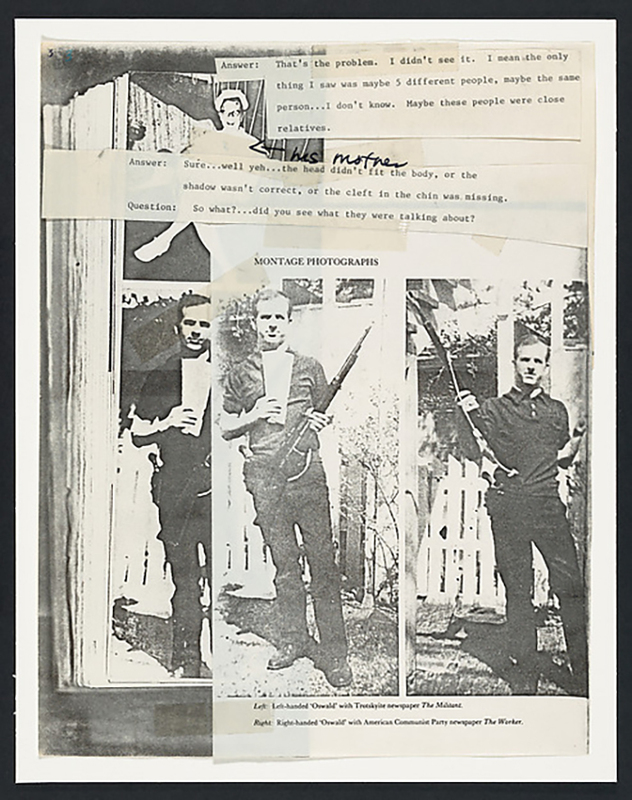 The first is comprised of works by artists who hew strictly to the public record, uncovering hidden webs of deceit—from the shell corporations of New York’s then largest private landlord to the vast, interconnected networks encompassing politicians, businessmen, and arms dealers. The second part will feature artists who dive headlong into the fever dreams of the disaffected, creating fantastical works that nevertheless uncover uncomfortable truths in an age of information overload and weakened trust in institutions. Despite the timeliness of the topic, Everything Is Connected was conceived in 2010, inspired by a 1991 interview between John Miller (American, born 1954) and the late Mike Kelley (American, 1954–2012), both of whose works are featured in the exhibition. In the interview, they discuss the paucity of serious writing on the subject (to that date) before listing the artists, both in their circle and from earlier, who address it in their work. The Met curators reviewed an early version of the checklist with Kelley, who expressed his enthusiasm for the project as long overdue as well as making recommendations that were adopted into the final checklist. Many of the featured artists occupy tangential if not adversarial positions in relation to the movements with which they are commonly associated. By injecting the relatively apolitical styles of Pop, Conceptualism, and Appropriation Art with the normally veiled or repressed real-world content that invisibly shapes experience, they take a less passive and ironic and more proactive stance against the consumerism, bureaucracies, and mass media that are the inescapable givens of modern life. The exhibition will be accompanied by the installation Jane and Louise Wilson: Stasi City on view in the Joyce and Robert Menschel Hall for Modern Photography at The Met Fifth Avenue from September 18, 2018 through March 31, 2019. Jane and Louise Wilson’s (British, born 1967) Stasi City (1997) is widely considered one of the most important works of video art of the last half-century, advancing the medium to a newly theatrical and immersive experience. Filmed during a fellowship in Berlin in 1996, this four-channel video installation is a dizzying tour of the former headquarters of the East German secret police (Staatssicherheit) housed behind a nondescript row of buildings in the former East Berlin. Everything Is Connected: Art and Conspiracy is curated by Doug Eklund, Curator in the Department of Photographs, and Ian Alteveer, Aaron I. Fleischman Curator, Department of Modern and Contemporary Art, with assistance from Meredith Brown, Research Associate in the Department of Modern and Contemporary Art, and Beth Saunders, Assistant Curator in the Department of Photographs, all at The Met. The exhibition will be accompanied by a catalogue published by The Met and distributed by Yale University Press. The catalogue is made possible by the Samuel I. Newhouse Foundation, Inc.
Programs and events will include a dedicated Teen Studio on December 1 and Family Tours on October 13 and December 8. The exhibition will be featured on the Museum’s website, as well on Facebook, Instagram, and Twitter using the hashtags #MetArtandConspiracy and #MetBreuer.